This is my favorite episode which i saw. In this episode we can see how director of the main company stores dangerous chemicals as oil. What do you think about this episode? Last edited by MoDaD on Wed Oct 15, 2014 12:55 am, edited 1 time in total. Razor:Hey,don’t sweat it, I’ll teach you how to swim. I liked this episode as we got to see more into Ann Gora's character. Sure she's wanting to get the inside scoop on things for a Pulitzer (Purritzer? XD) but she also seeks for the truth so justice can be served. I love that scene with her exposing Tiger Conklin for dumping radioactive chemicals or what not pretending it was oil. Another thing I liked about this episode is we got to see the boys using something else besides the Turbokat. Yeah they're pilots but there is perhaps too much emphasis on them and their cool jet in the series. They are more than just pilots, they are vigilantes, detectives and skilled in technology. Though of course at the last minute they just HAD to get in the jet and use it before the episode was over. Felony wrote: Sure she's wanting to get the inside scoop on things for a Pulitzer (Purritzer? XD) but she also seeks for the truth so justice can be served. Definitely the latter, heh. Maybe not in this episode, but they definitely call it the Purrlitzer in The Deadly Pyramid. The scene where T-Bone tosses Ann at the scorpion beast off a cliff and into a cavern of freakin magma (even without a due and hilarious scolding) is actually one of my favorite moments in the entire series. I mean, this episode is ridiculous no matter how you slice it, to the point where I almost want to ignore the thing XD but T-Bone's method was pretty brutal, and still SO RARE to see from a hero, I'm kind of enamoured with his callous audacity (and the writer's audacity) because it adds another layer of non-ideal qualities to our hero, which makes him far more interesting, at least in my book. It's also just ridiculous, I couldn't help but laugh when I rewatched it. T-Bone: chaotic good? I'd have killed for Ann or anybody else smacking him upside the head though. Or at least questioning him after. In either case, T-Bone has become my fav SWAT Kat this time around for having so many traditionally "unheroic" traits smashed in with his daredevil bravery and good hearted-ness. Last edited by Betaruga on Sun Feb 15, 2015 8:39 pm, edited 1 time in total. Betaruga wrote: I'm kind of enamoured with his callous audacity (and the writer's audacity) because it adds another layer of non-ideal qualities to our hero, which makes him far more interesting, at least in my book. It's also just ridiculous, I couldn't help but laugh when I rewatched it. T-Bone: chaotic good? I suppose my problem with it is that he was doing it with the very person they'd come down here to rescue in the first place. I think it was a dumb move because what if he failed to swoop down and catch her? Then she'd be dead, and the entire trip would've been for nothing (yeah they discovered the toxic waste, but still). An apt comparison would be a fireman rescuing someone from a burning building, finding the source of the fire, only to then abandon them at a point where he needs to weigh less so he can run faster. Yes he's learned how the fire started, but by tossing the survivor aside he's negated his entire original reason for going in. Caverns of Horror as a whole isn't terrible, despite its poor reputation as "the Captain Planet episode" (apparently any episode dealing with pollution, why it's dangerous and why we ought to care about what we pour where is now considered wishy-washy Captain Planet junk), it's actually just very, well, run of the mill. But that scene of T-Bone chucking Ann into the loving embrace of a giant scorpion is one of the most inexplicably dumb moments in the series. One that always has me going "What were they thinking?!" Betaruga wrote: I'd have killed for Ann or anybody else smacking him upside the head though. Or at least questioning him after. In either case, T-Bone has become my fav SWAT Kat this time around for having so many traditionally "unheroic" traits smashed in with his daredevil bravery and good hearted-ness. LOL well I would have laughed because he SHOULD be questioned at the very least. Kooshmeister wrote: I suppose my problem with it is that he was doing it with the very person they'd come down here to rescue in the first place. I think it was a dumb move because what if he failed to swoop down and catch her? Then she'd be dead, and the entire trip would've been for nothing (yeah they discovered the toxic waste, but still). Exactly why that move was a bad risk. He put someone's life in danger, one he was there to save in the first place. Here's another thing... without a confession, or any documents proving he knew about the dumpings or committed them himself, there's not much they can pin on Conklin. He could easily argue that his confusion and surprise at the true contents of the "oil drums" was genuine, and it was being done without his knowledge. All he can be directly proven to be is a criminally reckless idiot, sending miners in despite them continuously disappearing, unless they get that sweet, sweet proof. And him backing away in legitimate fear from his angry employees and the scathing (baseless) accusations of Felina is perfectly understandable under the circumstances and only proof of, well, fear and confusion about suddenly being the target of so much hostility. If anything, it was bad detective work on Felina's part to immediately make the leap that drums of toxic mutagenic goo in the caverns (of horror) automatically makes Conklin responsible, when the only thing suspicious about him so far has been that he's a very unpleasant person. 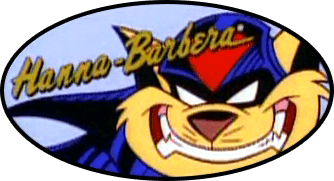 Despite being angry at Taylor for calling the Enforcers in, he never said or did anything anyone else wouldn't under the circumstances - he cooperated with Felina, and later the SWAT Kats, never once trying to keep them out of the mine aside from one instance of referring to the problems as "nothin' the company can't handle." He never even attempted to refuse them entry. Besides... the drums were found in an area some depth below the mines where nobody went, not where the miners worked, so Conklin can again claim ignorance because it's doubtful those mostly unexplored caverns (of horror!) were company property. The only directly damning evidence is the drums with fake labels being on his property, but, again, he can't have been the only person with access to them or the mine and caverns (of hoooorroooor!). All their presence means is someone was doing the dumpings, not necessarily Conklin, who, again, never tried to prevent anyone from entering the mine - in fact, he repeatedly did precisely the opposite. I'm sure there's about fifteen different people he can pin it all on, provided he survived, of course. Kooshmeister wrote: Here's another thing... without a confession, or any documents proving he knew about the dumpings or committed them himself, there's not much they can pin on Conklin. He could easily argue that his confusion and surprise at the true contents of the "oil drums" was genuine, and it was being done without his knowledge. Its still negligence. Conklin was in charge of the operation and unless he can prove it wasn't him doing the dumping. The blame for the deaths will go to him. Kooshmeister wrote: All he can be directly proven to be is a criminally reckless idiot, sending miners in despite them continuously disappearing, unless they get that sweet, sweet proof. And him backing away in legitimate fear from his angry employees and the scathing (baseless) accusations of Felina is perfectly understandable under the circumstances and only proof of, well, fear and confusion about suddenly being the target of so much hostility. Thats why there is something called Criminal Negligence. Getting people killed by being careless or reckless is a criminal offense. Kooshmeister wrote: If anything, it was bad detective work on Felina's part to immediately make the leap that drums of toxic mutagenic goo in the caverns (of horror) automatically makes Conklin responsible, when the only thing suspicious about him so far has been that he's a very unpleasant person. 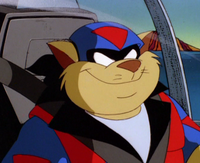 Despite being angry at Taylor for calling the Enforcers in, he never said or did anything anyone else wouldn't under the circumstances - he cooperated with Felina, and later the SWAT Kats, never once trying to keep them out of the mine aside from one instance of referring to the problems as "nothin' the company can't handle." He never even attempted to refuse them entry. Cooperating with law enforcement doesn't get you off the hook. When people die because of what you did. Your going busted for it no matter what. And since Conklin like I said is running the whole operation. Felina has every right to point the finger at him. Kooshmeister wrote: Besides... the drums were found in an area some depth below the mines where nobody went, not where the miners worked, so Conklin can again claim ignorance because it's doubtful those mostly unexplored caverns (of horror!) were company property. The only directly damning evidence is the drums with fake labels being on his property, but, again, he can't have been the only person with access to them or the mine and caverns (of hoooorroooor!). All their presence means is someone was doing the dumpings, not necessarily Conklin, who, again, never tried to prevent anyone from entering the mine - in fact, he repeatedly did precisely the opposite. I'm sure there's about fifteen different people he can pin it all on, provided he survived, of course. Whose he going to blame it on? Unless he can find a way to pin it on his employees. Its Conklins operation so he will pay the price for it. Ocelot wrote: Its still negligence. Conklin was in charge of the operation and unless he can prove it wasn't him doing the dumping. The blame for the deaths will go to him. True, but he can argue that he can't micro-manage everything everyone does, and, besides, burden of proof goes both ways; Conklin may have to prove it wasn't him doing the dumping, but the prosecutor will have to prove it was him. Ocelot wrote: hats why there is something called Criminal Negligence. Getting people killed by being careless or reckless is a criminal offense. I did call him "a criminally reckless idiot." Ocelot wrote: Cooperating with law enforcement doesn't get you off the hook. It might if Conklin's defense argues he had no knowledge of the dumping. If he knew what was down there, they'd argue, why allow the Enforcers to go down there? It was an enormous risk; they could've (and did) find the cache of toxic waste drums. Thus any lawyer could argue that the dumping was done without Conklin's knowledge. Ocelot wrote: Felina has every right to point the finger at him. She leaped to a conclusion. The alternate explanation that it was being done without Conklin's knowledge never occurred to her. Simply being in charge doesn't make him omniscient. Plenty of things could've been done on-site without his knowing about it, even if he micro-managed everything he couldn't be everywhere at once. Now, as it turned out, she was right, but still, she leaped to a conclusion and pointed an accusing finger with very scant evidence. Ocelot wrote: Whose he going to blame it on? Unless he can find a way to pin it on his employees. Its Conklins operation so he will pay the price for it. Considering the site's isolated location and what appears to be surprisingly lax security, just about anybody can sneak in at night I bet. Pay a guard if there is one, or just go right into the mine. Dump the stuff. "Conklin did it" is obviously the truth, but the way it's depicted, there's a variety of different explanations and scenarios a reasonably intelligent defense attorney could offer up in Conklin's defense.